Throughout the region, workers who suffer injury while on the job are entitled to file workers’ compensation claims for injuries. Families who have lost their loved ones to work-related accidents are also entitled to claims. In the recent workplace safety news, OSHA has cited a New Hampshire automobile company for repeat safety violations and a Maine sawmill company for repeat and serious violations of workplace safety standards. 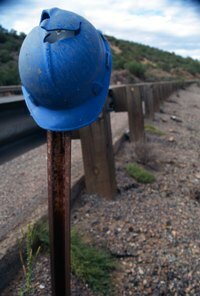 OSHA violations are often evidence used in negligence cases. OSHA is often called upon to inspect premises after an accident or injury or if there are internal reports of safety violations. Monro Muffler Brake Inc. has been cited for “willful, repeat, and serious” workplace violations in Portsmouth, New Hampshire. The automotive repair and tire chain business now faces more than $221,000 in OSHA fines. The Maine sawmill company will be fined over $79,000 in penalties. Our Boston workers’ compensation attorneys are dedicated to helping victims and their families protect their rights involving unsafe working conditions. The New Hampshire OSHA inspection initiated as a complaint. During the inspection, OSHA officials discovered that employees were exposed to potential electric shock from exposed and energized wires in the restroom. OSHA also found that the company did not correct these conditions, even after the issues were brought to light after an in-house safety inspection. There were also five repeat citations issued for defective ladders and issues with hazardous materials. Other citations were issued for obstructed exit routes, improper storage, and improper disposal of hazardous and combustible materials. These are considered serious violations because they could cause death or bodily harm. A spokesperson for OSHA claimed that the New Hampshire company’s pattern of noncompliance with existing OSHA standards puts employees at risk. According to the agency, a repeat violation exists when the employer has been cited for a similar violation on a prior occasion. In this case, the employer had been cited several times at different locations throughout the regions. In addition to the fines, OSHA is requiring that the company take corrective measures to protect employees from the workplace hazards. OSHA has fined the Maine sawmill company, NC Hunt Inc. for three repeat violations and seven serious violations of workplace safety standards after an inspection that initiated in November of 2012. According to OSHA reports, the repeat violations included failing to use energy control procedures that would prevent employees from being struck by logging carriers. The company also failed to install barriers and warning signs to prevent entry towards the logging path. These citations were similar to violations reported in 2009. A spokesperson from OSHA stated that the safety violations exposed employees to falls and the potential to be struck by machinery. The company will be assessed additional penalties for those violations that were repeat and those that were serious. Serious violations included the use of an industrial work truck with a defective emergency break. The company also failed to use machine guarding to prevent employee contact with the moving parts of a saw. The inspection also turned up issues with a grinder, an ungrounded extension cord and incomplete energy control procedures. The goal of OSHA is to ensure workplace safety and to hold employers accountable for safety violations. Any serious violation means that there is a substantial probability that an employee could suffer serious injury or death. Victims of workplace accident or injury are entitled to workers’ compensation as well as additional third-party claims in the event of negligent. If you or someone you love was injured in a workplace accident, an experienced advocate can review your claims and pursue the full compensation you are entitled to. OSHA violations can be used as evidence of negligence to support a personal injury claim against a contractor, property owner, or manufacturer.